The key to decipher different depths. The Tetra Works Spin is a lure not to induce a bite, but to be eaten. 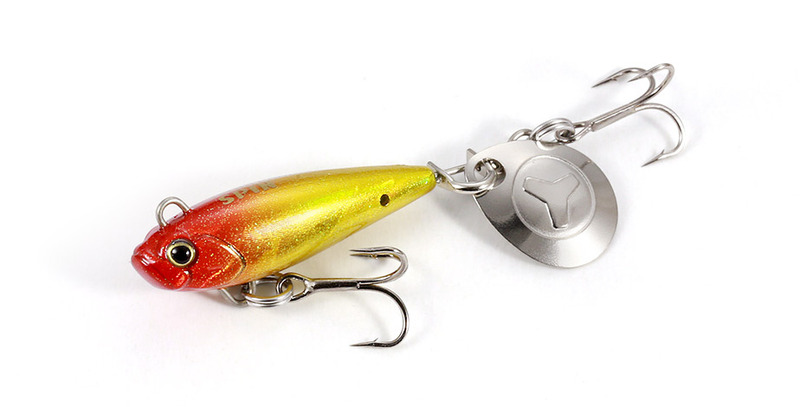 A high performing tail-spin jig is ready for release from the Tetra Works Series. With the 5g 27mm size body, its castability is outstanding even in strong winds. The remarkable straight-line performance will enable anglers to easily trace the most productive range through rod angle and retrieval speed control. The Colorado blade on the tail will smoothly spin and create a flashing effect even at slow retrieval. Anglers can utilize various techniques ranging from the “stop and go” or the “lift and fall”. With the outstanding performance, we are confident that this lure will produce you results from the shallow to the depths as your pilot lure.